Manufacturer & Trader of Jacuzzi Pools for Farm Houses. Our product range also comprises of Swimming Pools, Indoor Swimming Pools and Infinity Swimming Pools. We have a wide range of Jacuzzi Pools for Farm Houses. 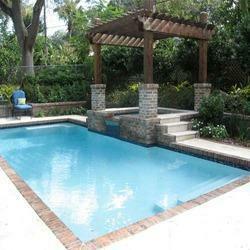 We have two main products in this like Customized Jacuzzi and Ready made Jacuzzi. Looking for Jacuzzi Pools for Farm Houses ?